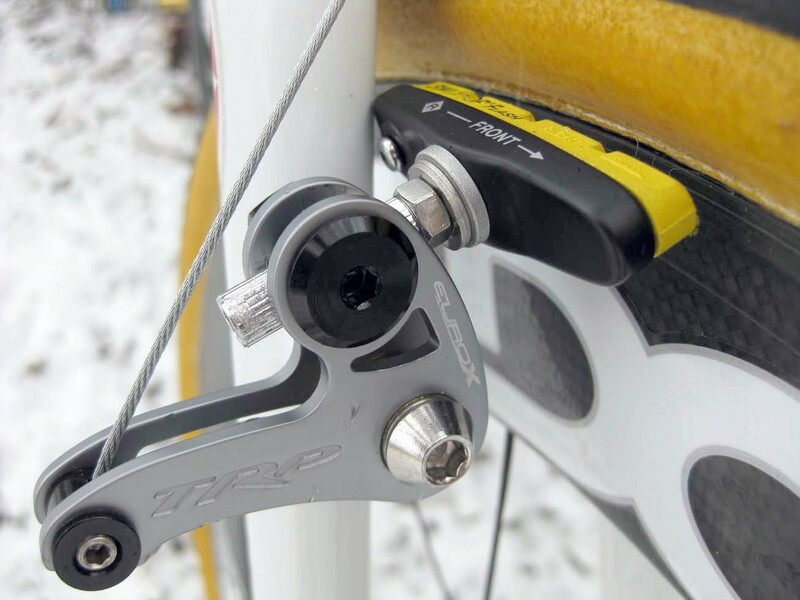 Riders who love Spookys, Empella Froglegs or alloy TRP Euro-X cantilevers, but don’t enjoy adjusting brake pad toe-in with a pair of vise-grips have other alternatives. 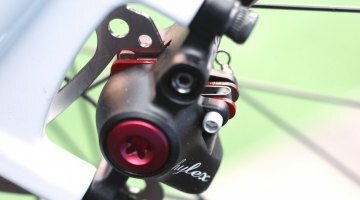 One option is the TRP Inplace to-in adjustable brake shoes and pads, the same ones featured on the popular white Magnesium and Carbon Adjust TRP EuroX brakes. But at $80 MSRP, these pads are out of reach for some budgets. Another option that aims to achieve the same thing at a lower price point is Velo Orange’s cantilever brake shoes and pads. Velo Orange, the small, Annapolis, Md. 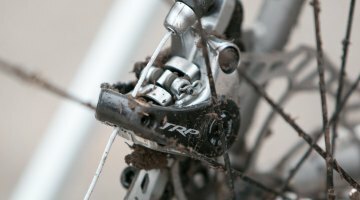 based company, specializing in the import of randonneuring components and accessories, has come up with a unique brake shoe that offers adjustable toe-in for straight post cantilever brakes. Step away from the vise-grips! These replacement brake cartridges are adjusted via a ball-joint built into the cartridge. 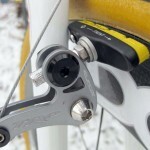 Toe-in adjustments are secured with a 8mm nut located at the base of the brake post. 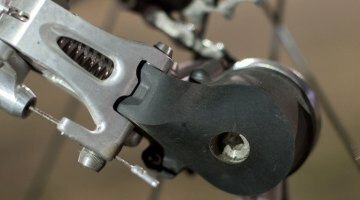 I replaced the stock cartridges on a pair of alloy TRP Euro-X brakes with these adjustable brake cartridges. I experimented with the toe-in adjustment by inserting using a 2.5mm Allen key into the end of the brake post, to keep the brake shoe in place, while I secured the 8mm locknut. I soon realized it was quicker to adjust toe-in by removing the brake shoes from the brake arms, adjust them, then check and reinstall them – rather than attempt to adjust them while installed in the brake arms. Once properly adjusted, with the locknut securely fastened, the brake shoes stayed put. 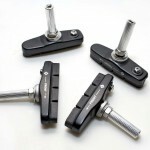 The adjustable toe-in immediately improved lever feel and modulation. The stock brake pads did their job but were nothing to write home about. They worked quietly when dry, though braking in wet conditions were not quite as good as with the stock TRP pads they replaced. 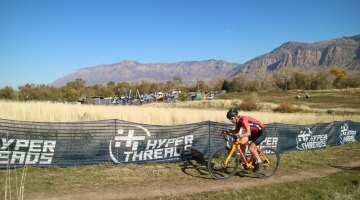 Velo Orange President Chris Kulczycki says his company is in the process of developing a new pad compound that will significantly decrease brake squeal. The Velo Orange adjustable cartridge brake shoes use Shimano-type cartridge pads. 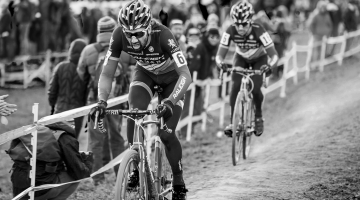 This came in handy on race days – I was able to quickly swap the stock pads for Swiss Stop Yellow Kings, for use with carbon tubular wheelsets. These pads popped in easily and worked fine with the Velo Orange shoes. 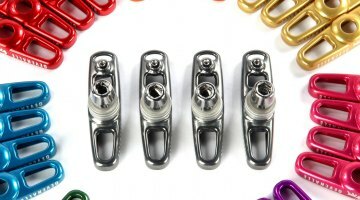 Compared to TRP’s Inplace shoes, adjustment is a little more difficult because it requires two tools instead of just one Allen wrench, but for price-conscious consumers, that trade-off may be worth it as the Velo Orange adjustable shoes cost just $15 per wheel, or $30 per bike. 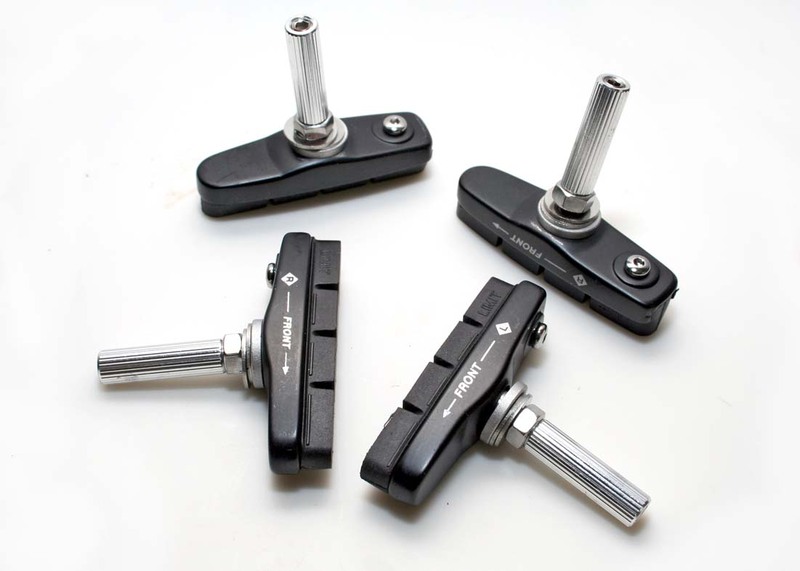 Velo Orange adjustable brake shoes are available in black and silver, and can be purchased directly from the Velo Orange online store.